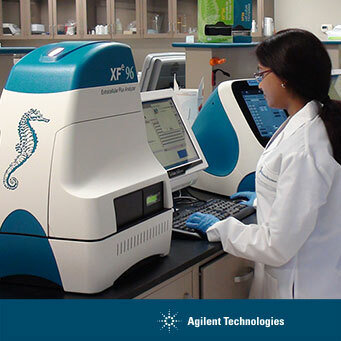 This week, Agilent finalized its acquisition of Seahorse Bioscience, an industry leader in cellular metabolism (the study of chemical processes that occur within a cell). The ability to see what is going on inside of a cell is tremendously important. Scientists researching aging, obesity, diabetes, cancer, cardiovascular, neurodegeneration and many other diseases need to know how a cell’s functions are affected by potential drugs. Seahorse offers a revolutionary and groundbreaking technology: it can measure a cell’s bioenergetic functions in real time. Researchers can profile the metabolic activity of a living cell as it is happening. And they can do so non-invasively, without disturbing the cell itself. Since its introduction in 2006, Seahorse XF Technology has been featured in more than 2,000 peer-reviewed published research papers. It is currently used by nearly 10,000 scientists around the world. XF Technology simultaneously measures two major energy-producing pathways of the cell: mitochondrial respiration and glycolysis. (XF stands for “extracellular flux.”) Because XF measurements are non-destructive, the metabolic rate of the same cell population can be measured repeatedly over time, while up to four different drugs can be injected sequentially.